I congratulate every one of you on the occasion of our 5th Annual Day. I welcome you and your families to today’s celebration of the Nexii Day on 1st of July 2017 at Dream Valley Resorts. We all know that the IT industry is undergoing a massive transformation. Change is tough but the ones who takes it into their stride will evolve stronger and better. 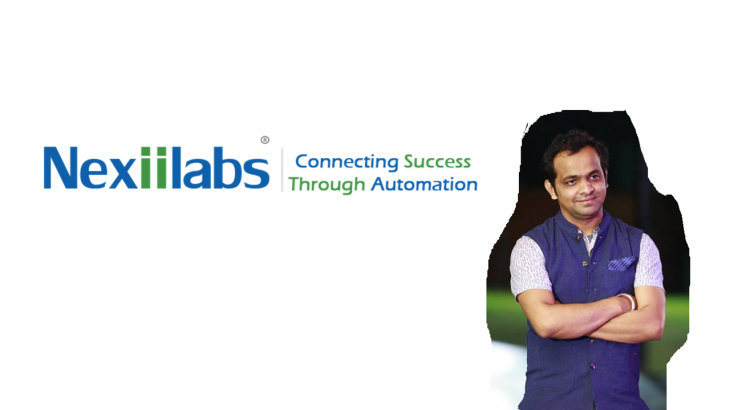 Nexii Labs has also undergone huge transformation in past 6 months and as part of that, I am happy to announce that we are now a 100% coders company – living true to our tag line which says, “Connecting Success Through Automation”. The change hasn’t been easy. I have seen some engineers work their fingers to the bone to be appended into the list of developers. I am extremely pleased by the commitment displayed by Nexiians to achieve the 100% coders target. It’s needless to say that without the support from family members, we wouldn’t have succeeded. My hearty thanks to the families for their support. I always wanted Nexii to be looked upon as a company where knowledge is paramount; a place where learning is guaranteed. IT, being a knowledge industry will always have place for one who is learning and transforming. I am glad we are in the right league of learning, and happy that all Nexiians share my thought. Transformation is a continuous process. Going forward, Nexii Labs will further transform into a powerhouse of technical experts with a business model that is even more demanding and rewarding. We are building some cool products inline with our expertise. USAS, is built from an opensource platform and is gaining tremendous traction in the market while Cloud Control, a cloud automation and orchestration software is in the making. With these products and many more to come, Nexii will prevail as an organization that provides services around our products. I once again sincerely thank each and every employee for their contributions to the company. Unitedly, we shall achieve greater heights of success.